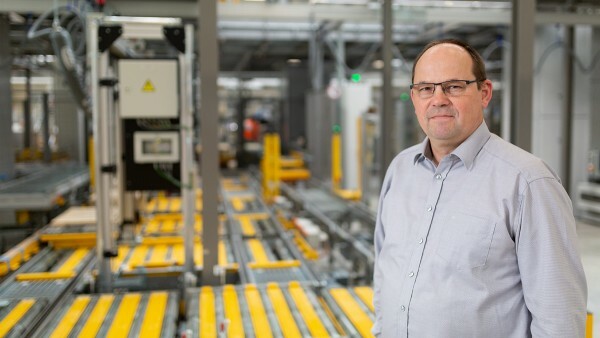 In collaboration with SSI Schäfer, one of the world’s most high-performance intralogistics providers, Schaeffler has implemented an intelligent maintenance system for the operationally critical machinery at its newest storage and distribution center. The objective is to prevent unplanned downtimes, significantly reduce maintenance costs, and increase machine availability. For this purpose, systems for monitoring the condition of drive systems that are relevant for operation and partially-automated maintenance systems are used. 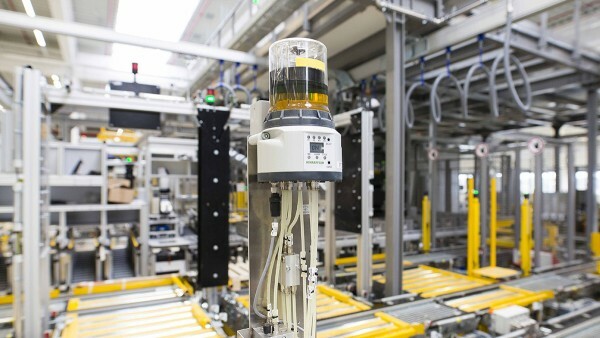 The SmartCheck condition monitoring system from Schaeffler is used to continuously monitor the condition of drives that are relevant for operation in warehouse systems, such as storage and retrieval systems, lifting stations, and spiral conveyors. Incipient machine damage can be identified reliably and in good time by means of the integrated vibration diagnosis. Los accionamientos de transporte y elevación se monitorizan continuamente con dispositivos SmartCheck. Subsistemas autónomos garantizan un flujo de material fiable en el nuevo centro de distribución y almacenaje de Schaeffler. Centrally controlled Concept8 lubricating systems with specially developed lubricating pinions carry out continuous and precise relubrication on chain and roller conveyors during operation. Overlubrication and downtimes resulting from this can thus be reliably prevented, along with contamination of the system caused by excess lubricant. In future, Schaeffler will be using its digital cloud services: The “LifetimeAnalyzer” for calculating the remaining useful life of bearings in drives, and the “ConditionAnalyzer” for in-depth condition analysis and predictive maintenance. The maintenance technician automatically receives specific recommended actions and can thus quickly and easily implement the appropriate preventive measures in order to ensure the function of his or her system. The integration of the condition data and other central operating parameters into the visualization shown in the control room means that critical KPIs can be defined and regulated in a targeted manner. 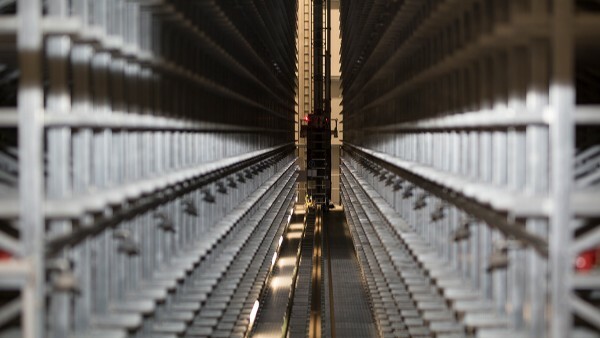 Maintenance 4.0 for intralogistics means more condition monitoring, more self-reporting systems, more automated maintenance, and therefore fewer downtimes and more efficient deployment of maintenance personnel.